The position of the symbols denotes the position of their countries at map. Green and gold are Australian sportive colors, took from golden wattle (Acacia pycnantha), its national floral emblem. 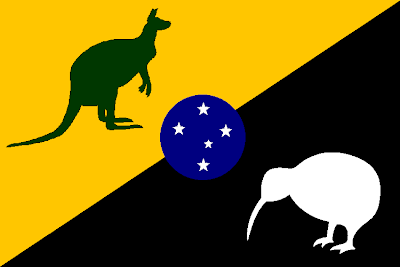 Supporter flags with kangaroos aren't uncommon in Australian stadiums. The New Zealand is symbolized by the colors of "All Blacks" and a national symbol, the silver fern, very used in sportive kits. The Southern Cross at the center is a common symbol to the two countries, and was also used in "original" Australasian flag. What's your opinion about the flags? Feel freely to comment. Sorry I didn't post nothing last week. I'll try to post twice this week for compensation. I would be very glad if you follow this blog, and I'm always open to suggestions and feedback. 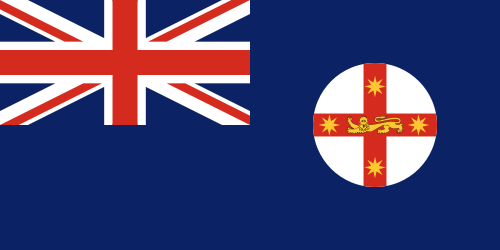 New South Wales has a typical Australian state flag: a British blue ensign with the state badge. The badge is also nothing special: a St. George's cross with a golden lion passant, and a Southern Cross in eight-pointed stars. It looks pretty good for me. 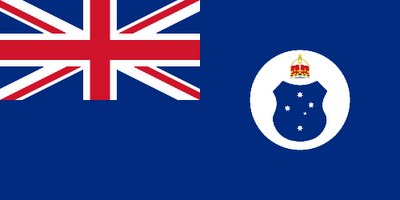 Not than I dislike other proposals to NSW, but I think this one is more realistic about state necessities. And what's your opinion? This post was planned to be published very earlier, but I was occupied with my Brazilian states series. Every comment is welcome and fairly received. Give the yours. The United Kingdom is formed by four constituent countries: England, Scotland, Wales and Northern Ireland. But, before the division of Ireland island between Northern Ireland and independent Republic of Ireland, they were: England, Scotland, Wales and Ireland. Of the four, Northern Ireland is the only without a current official flag. 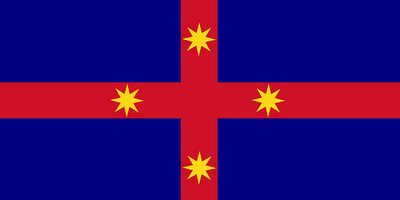 The main problem to re-adopt this flag is that it's very monarchist — look at St. George's cross (symbol of England) and crown. 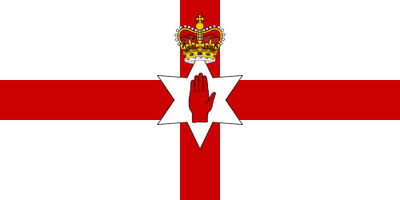 It's hard to be accepted, because there are Northern Irishmen that provide loyalty to British crown, the one that want Northern Ireland to unite with Republic of Ireland and the one that want Ulster independent from the two. 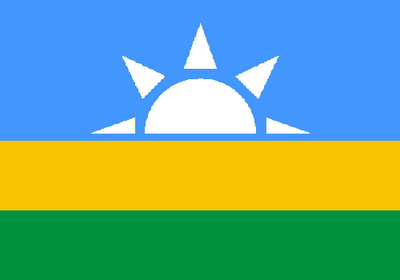 It represents Northern Irish identity, isn't a generic flag. It's used for centuries. It's easier to somebody use something he knows and regards than something/someone force him to use it. Originally, I was interested in use a "plan" St. Patrick's saltire, as it was intended to symbolize Northern Ireland in Queen's Diamond Jubilee last week. 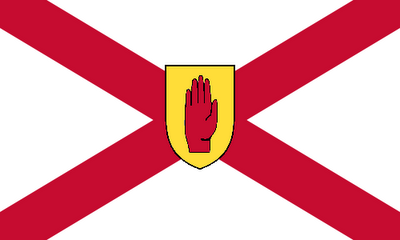 But Sammy suggested me to use the Red Hand, Northern Ireland more recognized symbol, in it; it's based in Ulster ancient flag. My next design contained a white shield with red hand, but the shield was after colored yellow, more similar with Ulster's flag. Now I want to show it to the bigger number of people, to know their opinion about it. And yours, too! To express your opinion, you can choose (just now!) between comment or post your opinion on topic (the link is in text). Thanks to Sammy, Armiger, TheNewTeddy and all other people that opined in that forum topic. Sorry if I forgot someone. Blue and green have the same meaning than in original proposal, but yellow substitutes the white for representing sand more effectively. The new element is the rising sun. If you realize, RN isn't the most Western state in Brazil, but it symbolizes the state's geographical position, however. 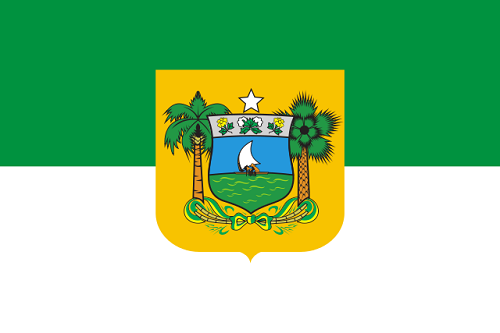 It also has the same symbolism than green and white colors in current flag: hope. After completed, I noticed something: green, yellow, blue, white... the national colors! 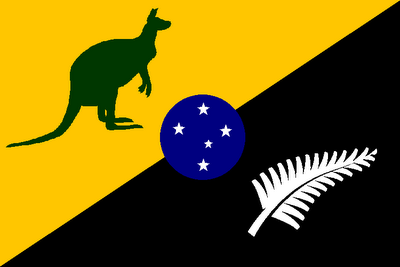 What of three flag in this post is your favorite? Comment. 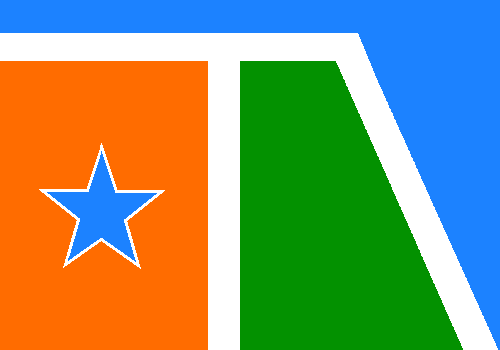 I'm accepting suggestions to my new Ceará flag. You can contribute with it.